The transportation system that is the Port of Baltimore relies on innovations and applications based on the core technologies that underscore the developed world. Try your hand at these activities to see technology at work. The Best Dredging Company ships use both hydraulic and mechanical power to complete their jobs. But which is best for which job? Find out when you take over the helm of the company. 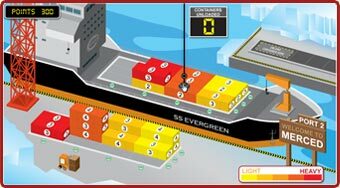 Loading a container ship is a balancing act, where dealing with an ever-changing fulcrum can spell success or disaster. 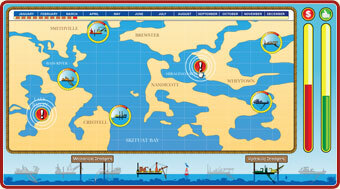 Can you guide the SS Evergreen on its world-wide route, get its cargo in the right ports, and avoid disaster?